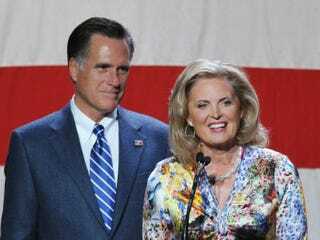 (The Root) — Ann Romney is worried. When asked what her biggest concern would be if her husband, Mitt Romney, becomes president, she had this to say: "You know, I think my biggest concern, obviously, would just be for his mental well-being. "I have all the confidence in the world in his ability, in his decisiveness and his leadership skills, in his understanding of the economy, in his understanding of what's missing right now in the economy — you know, pieces that are missing to get this jump-started," she continued. "So for me I think it would just be the emotional part of it." But … did you just say … are you implying … ? This is nothing, right? It's just a significant other of a presidential candidate saying that she's worried about the mental state of her husband if he becomes president. You know — that thing Romney is actively trying to do. Um … yay! Mental and/or emotional instability in the White House?